Debates around the artistic merits of videogames have long sought to narrowly define what the medium can accomplish. Roger Ebert once famously extolled that “videogames can never be art” due to their interactive nature, only to recant that statement thanks to their narrative potential. The ability for games to tell stories too, however, has often been called into question, with critics commonly comparing the form against literature and film. The ability of those stories to reflect political realities has also been casually dismissed. 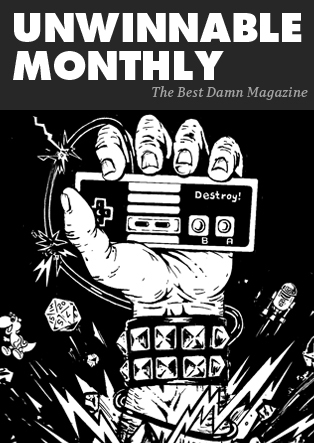 Take for example The Escapist’s ill-considered return to publication and commitment to leaving politics at the door, a stance that was roundly criticized for clumsily ignoring the inseparable nature of politics and art. 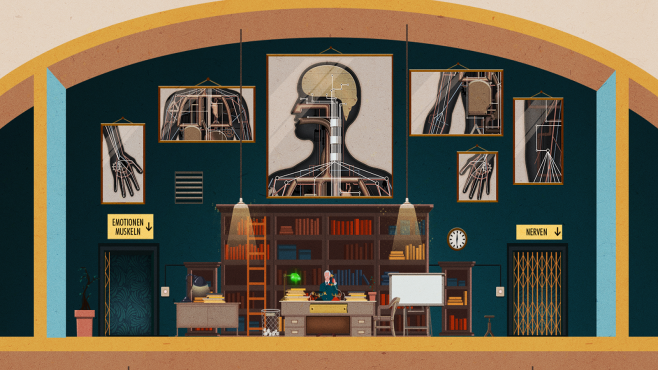 Homo Machina, a mobile game developed by French creative studio Darjeeling Productions in conjunction with Arte France, dispels all three of these notions with grace. Masterfully animated and creatively designed, it underpins touch-based puzzle-solving mechanics with a simple yet effective narrative structure. Underneath its unassuming plot and what a casual observer might call a Wes Anderson-esque aesthetic, too, lies deep historical inspiration inseparable from the social upheaval surrounding its source material. It’s a case study in the potential for political and artistic videogames, wrapped in the low-key guise of a quirky puzzle title that sells for $2.99 on iOS and Android. 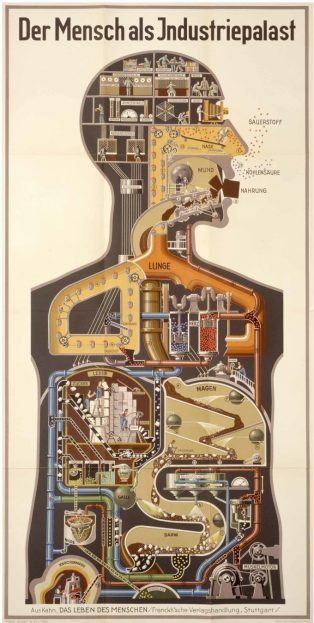 Loosely based on the groundbreaking work of German physician and artist Fritz Kahn from the 1920s and 30s, Homo Machina melds the Art Deco aesthetic of his work with clever problem-solving mechanics. It tells the story of one individual’s day through the bodily processes they experience from morning until night, casting the body as a sort of industrial factory. Inside it are many micro people keeping the place running, including a stressed CEO-type figure answering phone calls (presumably from the central nervous system – even bosses have bosses, after all) and delegating work downward. Each level sees the player moving throughout the anatomy, tackling different situations as the day elapses, from eating breakfast to preparing for a romantic date. If this sounds innocuous enough on its surface, it helps to understand a little bit about Kahn, the long-lasting ramifications of his work and the creative suppression that nearly erased it from history. Known as “The Godfather of Infographics,” Kahn helped develop inventive step-by-step explanations of how the human body works, drafting the copy and concepts for illustrations, and then commissioning the design work to illustrators who could bring them to life. He wanted to get people interested in science and used (at the time) modern art to do so, resulting in work that was utilitarian and yet strikingly expressive, destined to be influential for decades to come. For evidence of his impact, look no further than any major news website or corporate blog, where infographics have been the visual content du jour in recent years. Prized for their ability to convey large amounts of complex information in a more engaging way than plain text or ordinary imagery, journalists and marketers alike have taken to the format as a means of making content stand out. Sure, it’s a practical purpose for graphic design, but it’s also a format that has impacted most everyone who has consumed a piece of news or branded media since. Despite his immense influence on graphic design, Kahn’s groundbreaking art nearly faded from public memory entirely before a recent resurgence in interest brought his work back into mainstream consciousness, aided by the 2009 book Fritz Kahn: Infographics Pioneer. When the Nazi Party assumed power in Germany, he was forced to flee and his work was banned and banished from public sight. He never returned to his illustration work after the war, leaving it behind as a casualty of the Nazi’s art suppression efforts (which were intended to eliminate works they felt threatened the influence of the Third Reich, exemplified by the 1937 “Degenerate Art” exhibition which shamed and belittled modern art in Munich that year). 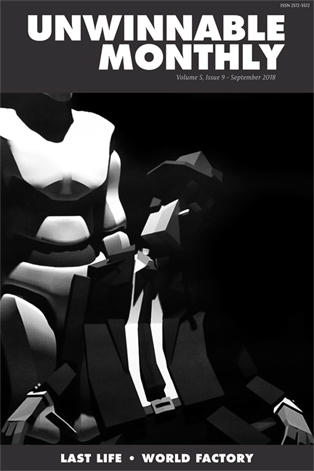 For its part, Homo Machina does a remarkable job of capturing the look and feel of Kahn’s original visualizations. His now-vintage style is present everywhere from its menus to actual gameplay levels throughout the game. While interactivity was once core to Ebert’s criticism against games as art, here it serves to immerse the player deeper in his work, bringing it to life while adding another dimension to otherwise flat illustration. Rather than provide context or overt instruction, the player follows on-screen cues and intuitively determine how to complete each bodily function, much like how actual bodies just seem to operate on instinct. If there’s a criticism to be made here, it’s that the game falls short of actually teaching the player much of substance of human anatomy (there obviously isn’t an army of tiny people running through you, leading lives parallel to your own, while ensuring your internal processes keep ticking). So, sure, there’s little in the way of realism here, diverging from Kahn’s goals a bit. However, Homo Machina does do a great service in regards to educating people about Kahn himself, and by extension, how dangerous restrictions on free expression obstructed teaching people about things as simple as how boogers work (amongst other bodily functions). If these definitions sound overly broad, it’s worth considering what Godin is actually saying here and comparing that against anecdotal experience. This writer had no idea who Fritz Kahn was before hearing about the game, but after playing it through and digging into its inspiration, I’ve learned a great deal about his commitment to helping people better understand themselves, the depths the Nazis plunged in order to stop him (and other artists) and how his work innovated an entire graphical communication format that has heavily impacted my own career as a writer and marketer (the industry I work in full-time). All this was made possible by a videogame that would have been illegal in Kahn’s own time. So, when considering what qualifies games as art, it’s insufficient to reduce them down to solitary aspects like aesthetic design, storytelling capabilities or the relative merits of play and interactivity. Games can be considered art not because or in spite of just one of these things, but all three and so much more, not least of which is their potential to leave a lasting impression on their audiences. To wit, Homo Machina exists as an ideal case-in-point, using a popular artistic medium to interest audiences in something bigger. Cheers to Darjeeling Production and Arte France for taking such a risk on the project (free from threat of persecution, thankfully) and may Kahn’s mission continue to reverberate thanks to their efforts.